Anyone who has ever bought a product online will be able to use Expedia TAAP, it’s completely intuitive and easy to use. So don’t worry about training taking up your agents’ precious time. However, Expedia TAAP will still provide specific agent training so that your agents can get the most out of the special agent-only tools that are not available to consumers. 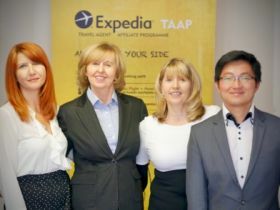 Expedia TAAP has a dedicated local support team here in Dublin to deal with any queries related to commission, training sessions and general questions about Expedia TAAP. If you need further information, please email taexpediaie@atts.ie or call on (01) 517 1525 (option 1). There is also a customer support call centre which can help the agents with booking amendments, cancellations, assistance & questions about bookings and after sales service. You can call on (01) 517 1525 (option 2) directly.